Many of these cuts are used for other types of beef products. For example, you’ll often see ground chuck in your grocery story, which you may use for hamburgers, casseroles, or other beef based meals. Rump and brisket cuts are often used for roasts. When it comes to a high-quality steak, though, most of the cuts will come from the area around the cow’s rib cage in the midsection of the back. Those cuts include the top and bottom sirloin, as well as the tenderloin. In fact, there are four common cuts that you’ll find on the menu at many restaurants that serve steak. Before you order your next steak, check out this quick rundown so you can order the cut that’s best for your palette. You may see this cut on the menu as either a filet, filet mignon, or possibly even Chateaubriand. It’s a boneless piece of steak and it is often one of the priciest cuts available. It’s also one of the most tender cuts. It comes from the short loin and sirloin areas underneath the rib cage. While filets and other tenderloins may be small in size, they are usually thicker than other cuts of meat. Because of their thickness, many chefs sear the outside of the steak on a grill and then finish the preparation in an oven. 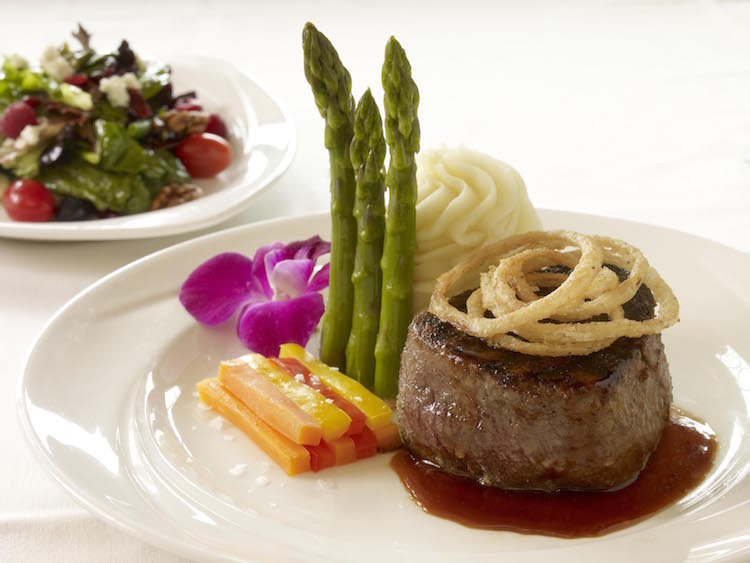 When you order a filet or any other kind of tenderloin, you can expect a buttery and mild flavor with a tender texture. 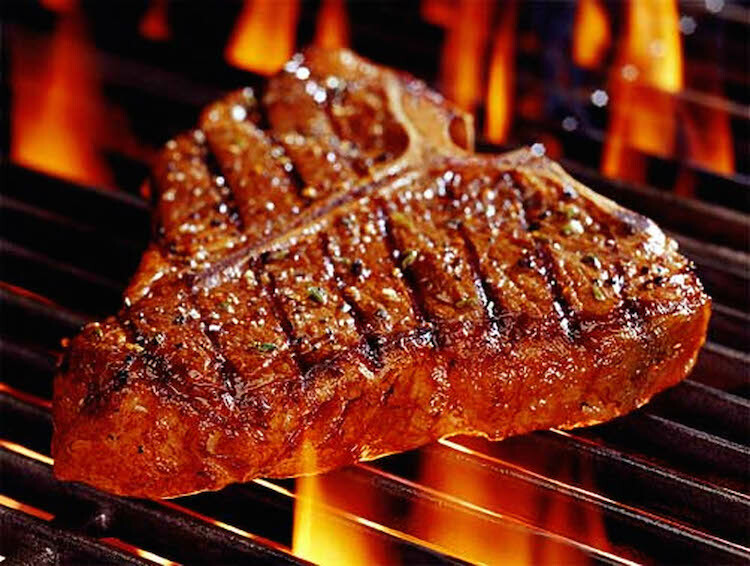 The New York Strip steak is also a boneless cut that comes from the short loin area behind the ribs. The major difference between it and a tenderloin, such as a filet mignon, is that the New York Strip comes with a strip of fat along one edge of the cut. You’ll also find fat marbling throughout the steak. When the steak is cooked, that fat releases flavor throughout the cut, which gives the New York Strip a strong, beefy flavor. It’s often grilled over high heat since it’s much thinner than a filet. The T-Bone offers the best of both worlds - the buttery tenderness of the tenderloin with strong beef flavors of the New York Strip. It’s a cross-section of the short loin, with a t-shaped bone in the middle. On one side of the bone, you have tenderloin and on the other you have New York Strip. If the tenderloin portion of the steak is more than 1.25” wide, then the steak may be called a Porterhouse on the menu. Either way, you’ll enjoy a large cut of steak with both mild and strong beef flavors. The ribeye comes from the rib section of the cow. Specifically, it comes from ribs six through 12. This cut can be served either boneless or with one of the ribs attached. They’re basically a prime rib or rack of ribs cut down into individual steaks. Ribeyes are famous for their pockets of fat, which produce strong beef taste in each cut. Your ribeye will likely be juicy and full of flavor. If you’re looking for a tougher steak that has strong flavors, then a ribeye is probably the right choice for you. At Jag’s, we offer all of these cuts, and each is served with tasty sides like a baked potato, steamed asparagus, a jaguar salad, and much more. 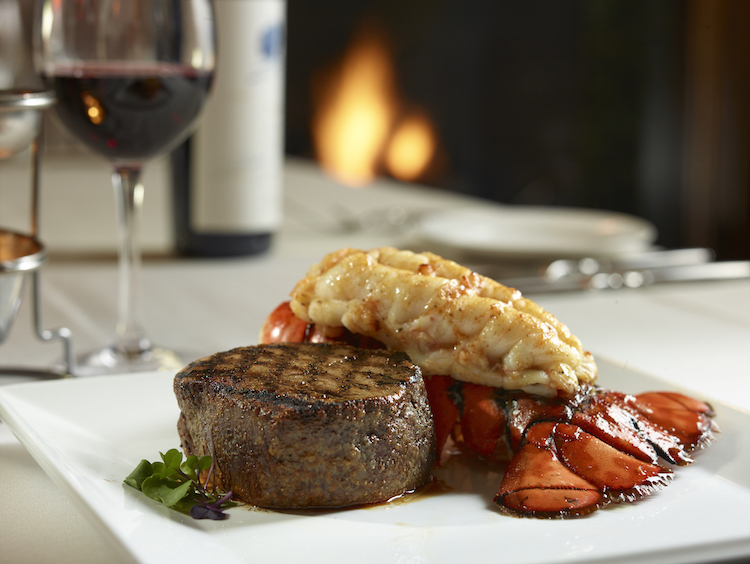 Make a reservation today to enjoy some of the finest steaks in Cincinnati.